Every Christmas there is a toy which sends herds of shoppers into a frenzy trying to track down stock of the item on the top of their little loved one's wish-list. 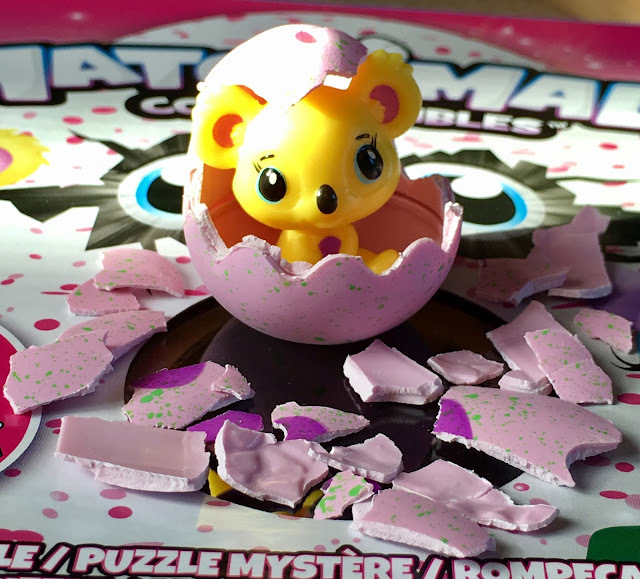 Last Christmas the UK went mad for Hatchimals from Spin Master. 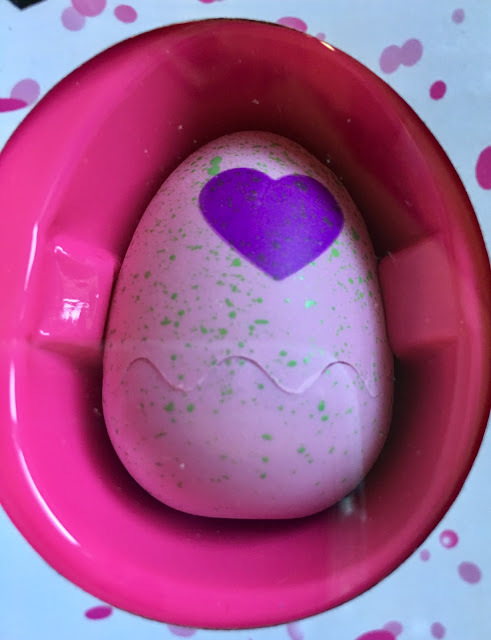 My 11 year old daughter was disappointed that she did not get one of the furry friends who hatch out of their own egg in front off your very eyes. Stock was almost non-existent in our area as the toy proved so popular. 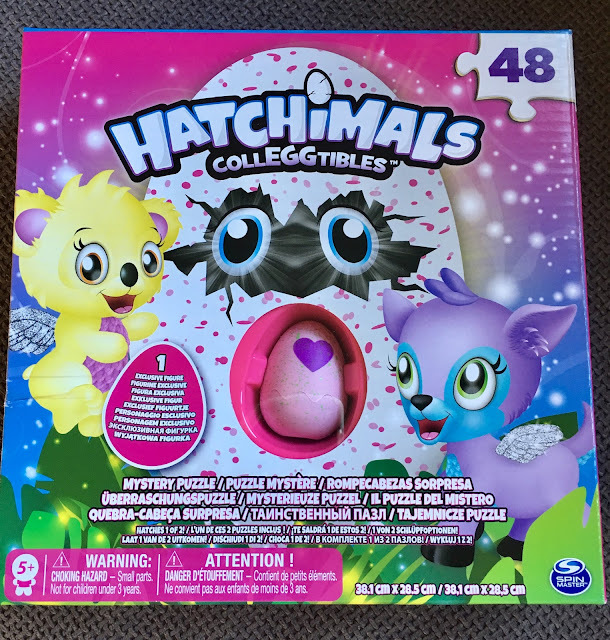 I redeemed myself somewhat this week however by presenting her with the Hatchimals CollEGGtibles mystery puzzle which comes with one exclusive figure concealed in that all important hatching egg. She badgered me to take the essential photographs for the website right away so she could rip the box open - I don't think I've seen so much enthusiasm for a toy in a long time! I was concerned the actual hatching of what is basically as small plastic figurine would be a let down but no! She was delighted and played with it and the shell with its colour change heart for absolutely ages. Her younger brother (aged 8) was also fascinated and together they played a lovely imaginative game with the little Hatcnhimal for hours, then again the next day. Even without the puzzle I think they had enough play value from the product to justify the expected price of around £6 it will cost when it hits toy shops across the UK soon. That brings me nicely to the puzzle. 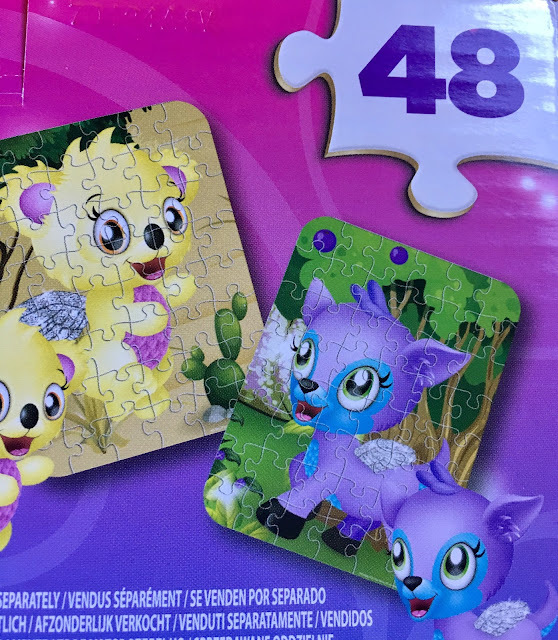 It's a fairly simple 48 piece puzzle aimed at children aged 5 and above which my daughter obviously completed very quickly. The puzzle featured the figurine she had hatched. If I am honest both children were initially mostly interested in the hatching bit then playing with the figurine afterwards but I've added the jigsaw to their collection and I think it will come into its own when the novelty of the egg bit has worn off. It was useful to me to see that she really was engaged by the hatching process and the figurine inside and made me think maybe down the line we might treat her to the full sized furry model which proved so popular at Christmas. Disclaimer: I received one Spinmaster Hatchimals CollEGGtibles mystery puzzle free for the purpose of this honest review. The product is COMING SOON to toyshops across the UK.